I have read the information clause. Hamilton May is pleased to present a comfortable, fully furnished and equipped apartment in a convenient location, on Przemysłowa street in the Garden Residence development. Hamilton May presents a one bedroom apartment with separate kitchen, decorated in a Scandinavian style, in a newly renovated building. Hamilton May is pleased to present a beautiful two-level apartment with a huge terrace, situated in the popular Garden Residence investment. Hamilton May presents a three bedroom apartment with a balcony, offered for rent in a convenient location, at Rydlówka street, between Matecznego and Kapelanka roundabouts. Hamilton May presents a brand new, bright one bedroom apartment located on the 4th floor of the newly finished Pasaż Podgórski development in Zabłocie. Hamilton May is pleased to present a spacious and very bright apartment with two bedrooms, located on the first floor of a historic building on Rękawka street, next to the Podgórski Square. Hamilton May is proud to present a one bedroom apartment with garden, located in Nadwiślańska 11 development. Hamilton May presents a modern apartment located near the city center, in Old Podgórze. 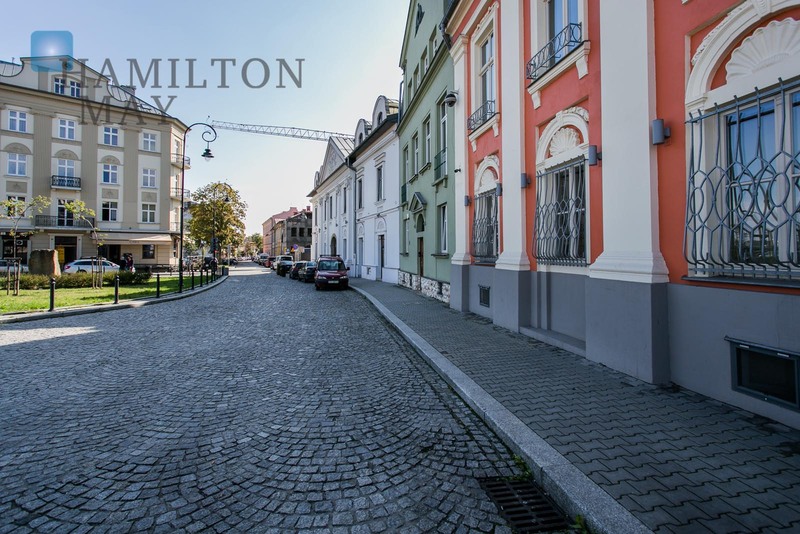 The central parts of the Podgórze district are one of the focus areas for Hamilton May in terms of our rental listings owing to the city centre location and good communication links. As with any region of the city our priority is to focus high standard apartments for rent. Rental prices are lower than in very centre of the city and are generally around the average in Krakow. Rental prices fall in more outlying areas of the district. As always, rental prices will depend on the location and quality of the apartment, and there are still many affordable pockets of Podgórze where rents are inexpensive. The area is popular with a variety of tenants, including students from universities in the area, working professionals and expats. There is also evident a growing population of artistic residents in Podgórze, many having moved from across the river in Kazimierz looking for lower rents. The central area of Podgorze is characterized by old style tenement or town house style buildings which line the streets around Podgorze’s main thoroughfares of Kalwaryjska and Limanowskiego. It is also the host to buildings of architectural interest, such as St Joseph’s church. In outer areas of Podgorze, there is a mixture of housing types, from communist tower blocks to modern residential developments. In the old town parts of Podgórze, apartments located in tenement buildings which are in poor condition are still in relatively low demand and the rental prices reflect this. However better quality apartments, particularly in new developments, now command higher than average rental prices and are increasing in popularity.